Spring Grass, April 1, Greg and Jan’s Green Pastures Farm. It’s that time of year, when we’re all thinking about grazing green grass. 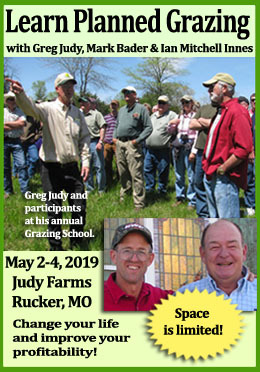 These tips from Greg Judy, first published in April of 2013, will help you control yourself and manage your grazing so that you have the best pastures possible through the summer. 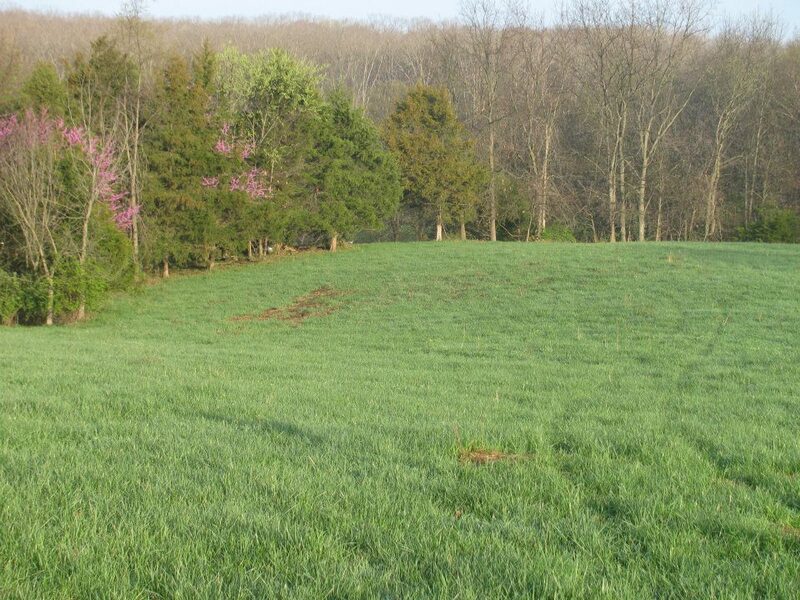 One of the toughest grazing management periods for livestock producers is spring green-up. It offers all kinds of challenging variables. It is hard to imagine a more optimistic feeling when everything is turning green after a long dreary winter of brown. The buds of the trees are starting to form, flocks of robins grace our pastures, green grass is inching up out of the ground, geese are flying back north, buzzards are coming back, turkeys gobbling. The earth is waking up from it’s deep winter sleep. The ground is no longer freezing at night, the frog peepers are deafening the air with their happy chorus of songs. It is one of my favorite times of the year for sure. With early spring grazing we have to be extremely careful not to overgraze the young immature plants. You can choose to start grazing your plants early, before they have a chance to send down a strong root system. If you do this, just be prepared to possibly run out of grass when the summer heat comes accompanied by lower precipitation. 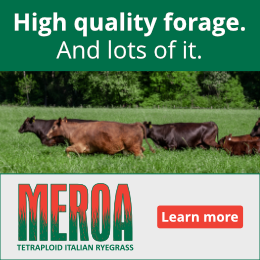 We grazed our pastures early for many years, to keep the plants vegetative. The result was the same every year, we ran out of forage every summer when it got hot and dry. There simply was not an adequate root system under our plants and zero litter covering our soil surface. Folks, we are dealing with herbivores that eat plants. Once we destroy our plant community by un-wise grazing practices, we are in trouble. We may go broke or have a hobby of feeding animals purchased supplements. 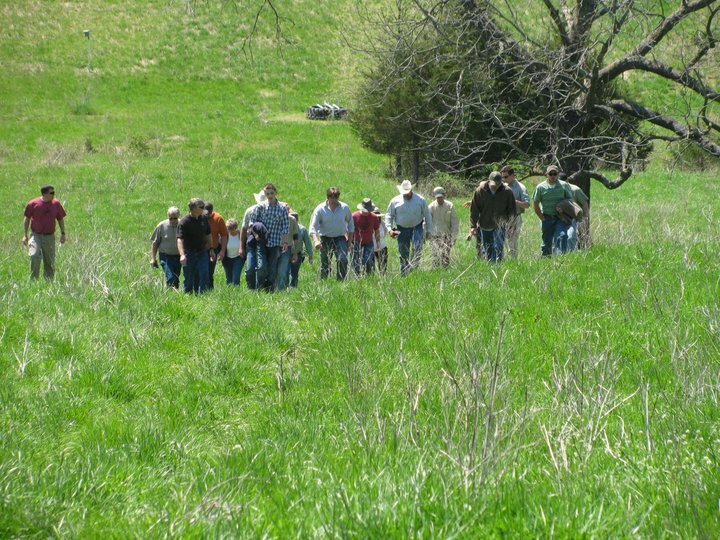 Beginning in 2006 we switched to Holistic Planned Mob grazing and begin focusing on the whole. We have learned that our farms are a whole complex web of life. Any action that you take on your farm effects “the whole”, so that guides us to be mindful of all management decisions we make every day. 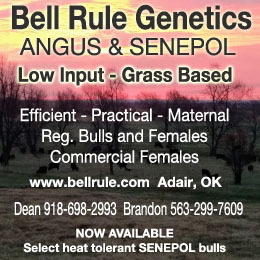 It’s easier to manage our animals and pastures. We have 11 grazing farms that are spread across five miles. 8 of those farms are leased, 3 farms are owned. We walk animals to the next farm when we finish grazing the previous farm. With cows calving and baby calves in the mob, it was tough to walk them 5 miles and not leave a new calf behind. By separating the cows that were calving it sure made life easier during calving season by not having to walk them down the road 5 miles. The cows are now completely calved on five connecting farms without major road cattle drives. It has made calving season a real pleasure. We always leave the gates open when we move the mob into the next pasture during calving season. Some of the time, the new mother cow will move with the mob and leave her new calf behind. With the gate left open, cows can go back and gather their calf without any stress. If you move the mob from one end of your farm to the other to begin your grazing rotation over again, always leave a temporary poly-braid travel lane in place to allow the cow to gather her calf. This temporary lane also allows the cow to stay behind with her new calf when you move the mob. 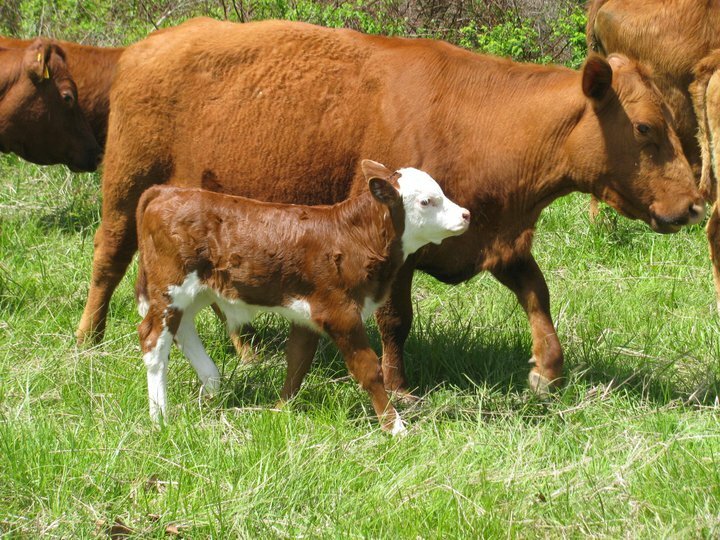 When she feels like it is safe and less hectic, she will leisurely bring her new calf up to the new paddock. Also by leaving this temporary lane up, we have never had cows go back to the old paddock unless they had left their calf. 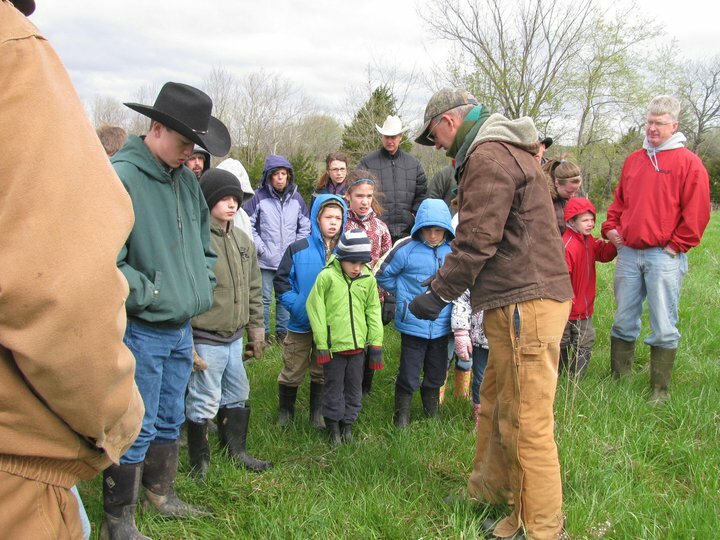 Greg shows a group of 4-H students how the grass is responding to grazing by sending out more tillers. This means more forage down the road. We can manage our pastures to increase plant tillering. By having the second mob in the spring it allowed us to get over the whole farm quicker when plants were reaching maturity. It also gave us more tillering of the plants. Any time you take a trimming off the plant, you get more tillering of leaves from the parent plant. This added more mass to our forage base. Plant spacing is now much closer together. The tighter plant spacing in our pasture swards will allow even higher stocking rates in the future.This allowed us to capture the highest level of energy in the plant tips, right when the plants were reaching maturity. The cows only took one bite of the plant tip and were moved. We were completely focused on animal performance first and foremost during our first grazing pass across our farms. To get over our farms quickly after the plants were close to maturity required reducing the livestock density. We were not focused on density or trampling, just capturing high energy plant tips. The animal health absolutely exploded in both mobs. The cows slicked off all their winter hair coat immediately and started packing on weight. The stockers, bulls and grass finishers did the same. On To Managing Spring Regrowth…. One surprising development was how quickly the near mature plants recovered by only having one bite removed from their leaf tip. Not only did we get maximum animal performance from the complete diet of high energy plant tips, we also got maximum plant recovery after being lightly grazed. Then things got really interesting as spring progressed. Our pastures in front of us that had not been grazed yet were setting mature seed heads. We had a decision to make, keep grazing like we were doing or stop and return to where we started grazing in the spring. The first paddock that we started on in the spring was already fully recovered in 25 days. These plants needed to be grazed right now to capture the energy at it’s fullest. It would have been nice to wave a magic wand and have extra cows appear out of thin air to eat all the grass in front of us to help us control the abundance of forage! We decided to ignore the farms that were not grazed yet and return to the first paddock that we started the spring grazing at. We just acted like we did not have the un-grazed pastures. In other words they were allowed to fully re-cover to their mature growth stage. All roots under these plants had 100% stored reserves of carbohydrates. This is the exact stage of production where I believe most folks make a drastic mistake. They fire up the hay mower or bush hog and clip off the excess plant growth to bring the plant back to a growing stage. Very bad idea, bank the extra forage. Walt Davis has said many times, “Manage your grass like you are in a drought every day.” Pretty sage advice from a very successful rancher, I believe.We just looked at these areas as summer drought insurance if we needed it. Little did we know what type of weather pattern was coming right at us early last summer. Major drought hit in late June 2011 in central Missouri. There was a drought line that extended into our area of central Missouri that had the major effects on Texas, Oklahoma and Kansas. Rain would go north and south of us every week, much like an umbrella being placed over the farm. Extremely hot temperatures continued through the summer and fall without any precipitation. It literally saved our grazing operation by having all those farms that we left un-grazed and the remaining farms lightly grazed in the spring for our summer and fall drought reserve. There were some darn exciting developments that we encountered in the drought of 2011 that I will cover once we exit the drought. As of February 2012, we have received 5 inches of rain since June 2011. Mother Nature will throw us a curve ball from time to time. That is what makes grazing very challenging and exciting, we must stay focused on what is happening on the land every day. The quicker we respond to adverse growing conditions, the less negative the impact will be on our land, personal stress level, and pocketbook. We can do it folks, let’s keep our eyes on what nature is telling us daily and manage accordingly. The 7th National Grazing Lands Conference is coming up in December and it’s one of On Pasture’s favorites. One of the things that makes it so great is that folks just like you are the speakers, sharing their great experiences. Learn more about how to be a speaker here. And learn more about the event here.